There are a number of reasons that millions of buyers every year continue to choose Kia vehicles. These cars, SUVs, and minivans are available with the latest tech, safety, and comfort features, ensuring an enjoyable and safe ride for you and your passengers. With its commitment to safety, this company offers high-end standard and optional features. Kia championed the use of advanced high-strength steel without adding weight. All models come standard with hill-start assist control, vehicle stability management, electronic stability control, and anti-lock brakes with electronic brake force distribution. Kia also has its own information service system, UVO eServices, which is one of the most advanced among those in the industry. It includes impressive voice-recognition technology, helping people to stay connected while remaining focused on the road. Combine the information aspect with entertainment by using the free smartphone app, which turns your display screen into a provider of navigation, diagnostics, music, parking minder, and emergency assistance. You don’t have to sacrifice power or performance, especially if you choose a model that offers a turbocharged engine. For environmentally friendly customers, hybrid and plug-in options are available to reduce emissions and help you save on fuel. The Soul EV also includes bio-friendly plastics within the cabin. Throughout the U.S., the Kia Optima has been the top-selling Kia vehicle for the last four years. This stylish midsize sedan has plenty of space for a small family, yet its impressive fuel efficiency makes it a great commuter car. It’s available in a hybrid version as well. The 2017 model shows off a full exterior redesign, along with standard and available features like a large 8-inch touch-screen display, a premium audio system, Bluetooth connectivity, blind spot monitoring with rear cross-traffic alert, automatic emergency braking, and lane departure warning. If you need a little more space, check out the best-selling Kia Sorento. This comfortable and capable SUV boasts seating for up to seven, along with plenty of room in each row. Make your Kia Sorento feel more luxurious by adding upgrades like heated, ventilated, and power-adjustable front seats, heated second-row seats, leather and wood trim, dual-zone automatic climate control, or an Infinity 10-speaker sound system with an external amplifier, subwoofer, and HD radio. It is also available with a full suite of active safety features. Although we’re a brand-new dealership, we understand and value each of our customers. People come from throughout the Kansas City metro area to shop our wide selection and take advantage of our great pricing. 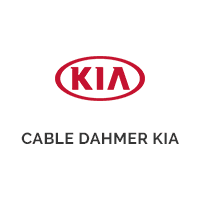 Visit us today at Cable Dahmer Kia of Lee's Summit to find your dream car.